Michelle Kittrell originally hails from Atlanta, Georgia and has performed in eight Broadway shows and won the Gypsy Robe Award three times. Most recently she has been seen in the Broadway musical, Legally Blonde, where in addition to playing D.A. Joyce Riley and CeCe the Delta Nu Sister, she also understudied the roles of Serena, Brooke and Pilar while also being a dance captain. She also has appeared in the Broadway hit, Hairspray, as the dance captain as well as playing the role of Penny Pingleton. Additional Broadway credits include: All Shook Up, Bebe "Bubbles" Baker in Urban Cowboy, the Senator's Girlfriend in Sweet Smell of Success starring John Lithgow, Seussical starring Rosie O'Donnell, Footloose, Wonderful Town (Encores) and Grease! 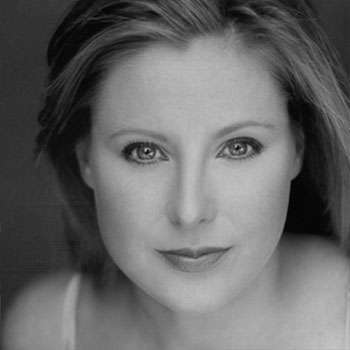 Michelle has toured the U.S. with Joseph and the Amazing Technicolor Dreamcoat, Grease!, Footloose as well as Europe playing the role of Lorraine in 42nd Street. She has performed regionally as Velma Kelly in Chicago, Evelyn Nesbit in Ragtime, Graziella in West Side Story, Millie in Good News! in addition to working with Tommy Tune in the workshop of Easter Parade. On television she has appeared on "Law & Order", “Legally Blonde: The Search for Elle Woods," Live with Regis and Kelly", "Broadway: An American Musical", "Miss America Pageant" with Tony Danza, "Macy's Thanksgiving Day Parade", “The View, "This is the Moment" with Donny Osmond as well as numerous appearances on the "Today Show" and "Good Morning America." Michelle teaches musical theatre, audition technique as well as tap, jazz, and lyrical master classes in NYC, Alvin Ailey and across the country. Michelle was also named one of the "top 10 tap dancers in the US and Canada" in the Gregory Hines National Tap Challenge.